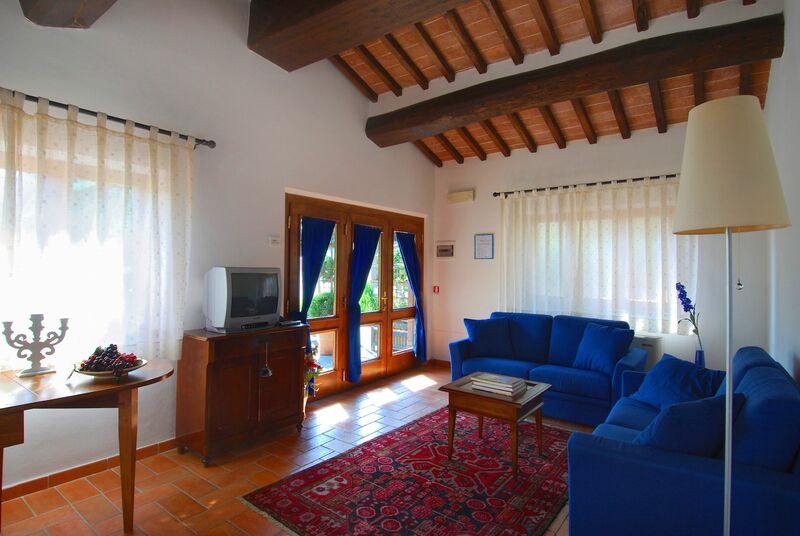 Iris is a comfortable apartment from an elegantly restored barn. 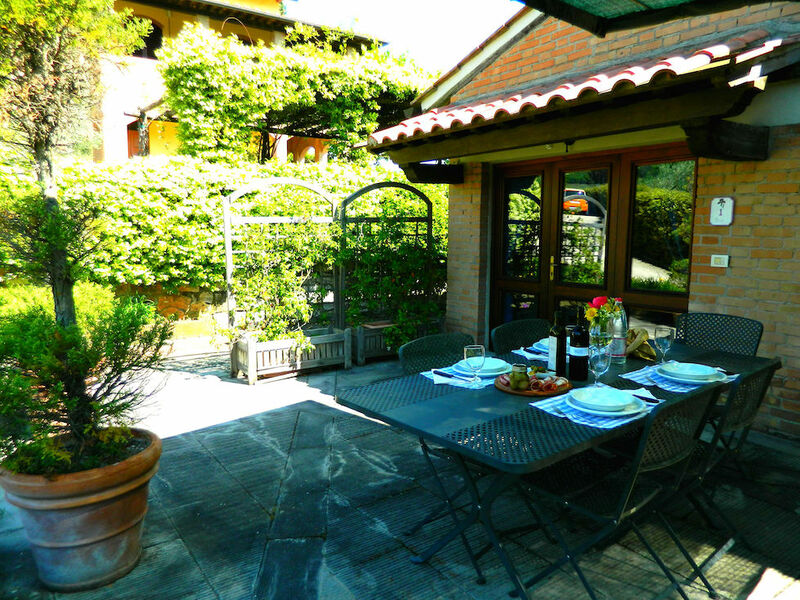 It is independent of the other apartments, with private entrance and private terrace in front of the front door, with a large dining table. In addition to the double and twin bedrooms (with two single beds which can be joined together as a double if needed) and the bathroom with shower, Iris has a living room and a bright kitchen / dining room, equipped with Each utensil, combined / microwave oven, espresso coffee maker and American blender, and blender. In addition to the four beds in the rooms, Iris can find another person on the sofa bed of the living room. 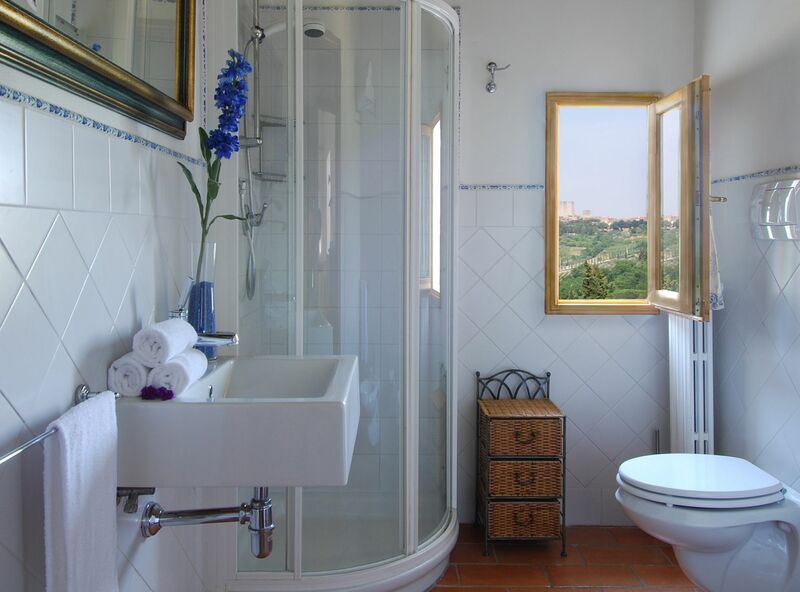 The comfort of this apartment is also guaranteed by the air conditioning / heating, with independent system for each room. 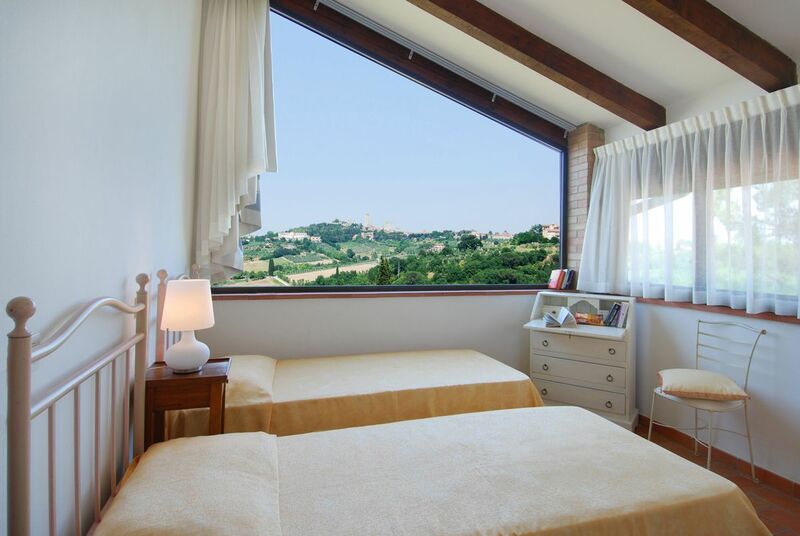 One of the most beautiful peculiarities of the Iris apartment is the beautiful view over San Gimignano, which is enjoyed by one of the rooms.